When it comes to Microsofts lineup for the Fall of 2017, it isn’t looking so hot. When it comes to Microsofts first party stable, their games just do not have the sales pull that Sony and Nintendo do. The only two franchises that can play on that level are Halo and Gears, and guess which one is up for a new entry this year. Hint: Neither. Halo 6 isn’t due out until 2018 if it holds to the three year dev cycle and Gears 4 just released this past October, meaning that Gears 5 is a ways out yet. They had Scalebound, but that got cancelled and Microsoft probably lost quite a bit of goodwill because of it. They could have had a Fable, but then they cancelled Legends and shuttered Lionhead with no word on a possible Fable IV. So either Microsoft steps up to the plate this Fall with exclusives we know nothing about, they show us why we should care about the games they’ve already announced for 2017, or they put out another Halo title, and I’m banking more heavily on the Halo title than the other two scenarios and here’s why. The year is 2017, and anyone who knows about Halo knows that 2017 makes the 10 year anniversary of Halo 3 and the end of the original trilogy. Now, 343 has repeatedly stated that they aren’t working on a Halo 3 Anniversary because Halo 3 did nothing to revolutionize the way we play video games like Halo 1 & 2 did. It’s the odd one out. It’s a solid reason, but here’s the thing. There is fan demand for a Halo 3 anniversary because it is now the worst looking title in the original trilogy and compared to Halo 4 and 5. It sits smack dab in the middle and when you go from Halo 2 Anniversary to Halo 3, it’s somewhat jarring. Don’t get me wrong, Halo 3 isn’t necessarily fugly, none of the Halo games were for their time, but it just doesn’t hold up as well now that the two games before it have been remade. It’s like the semi-ugly duckling. And 343 can say they aren’t working on it and have it exist because 343 doesn’t do the remakes themselves, they outsource them to Saber Interactive and Certain Affinity. 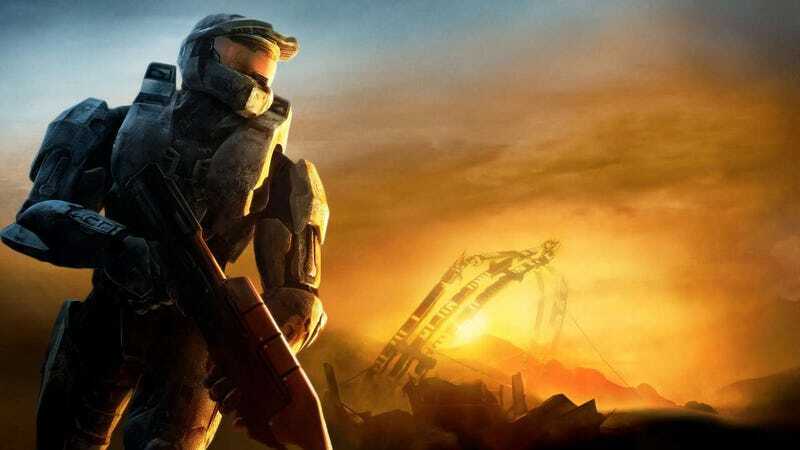 There is an alternative to Halo 3 Anniversary of course, which is to make a standalone Halo title akin to Halo 3: ODST or Halo: Reach which might be more enticing than a remake of Halo 3. 343 Industries isn’t likely to abandon their Halo 5: Guardians engine anytime soon and it probably cost quite a bit to make, so making another game on the engine in a shorter amount of time is a solid plan and they can bundle Halo 6 Beta access with it. My point is that Halo is Microsofts cash cow, it has been since the original Xbox, and with Halo 6 on the horizon and in need of a way to give out Beta access without making it available to the entire public, a Halo 3 Anniversary or spin-off title makes a lot of sense. It gives out Beta access, it will be a decent seller for the holiday period, and it is likely to drive at least some console sales and Windows 10 licenses if it is available for PC. I really can’t see them passing this up.